You might be thinking that living in the woods for 5 months will be the cheapest 5 months of your life! Well, depending on your rent, it might be! But realistically, living in the woods can be surprisingly expensive once you add up your cost of food, stays in town, and transportation to and from the trail. How do you save some money on your upcoming thru hike? Well that depends, it’s not an easy straight forward answer. I recommend you start with at least $4,000-$10,000 in your pocket. I know that’s a wide range but everyone hikes a little differently. If you’re trying to do your hike on the cheap, then you’re in the right place. Eat cheap food. Most long distance hikers can ‘afford’ to eat a lot of junky food since your body will most likely need the extra sodium and calories. Assuming you don’t have dietary restrictions or other health concerns (those come first!) you can get away with filling your food bag, mostly, with oatmeal, ramen, instant mashed potatoes, knorr sides and dollar store candy bars. As long as you’re not buying the prepacked, freeze dried backpacking meals all the time, trail food can be extremely cheap. If you have a dehydrator, you can prepare some of your own backpacking meals ahead of time and dehydrate them. I’m sure this leads to a more balanced diet than that last strategy does, but is considerably more time consuming. You have to be really dedicated to these meals and truly enjoy cooking and dehydrating your own food for this to work out well. Set a limit on eating out in towns. If you have a strict budget already set up for how much you can spend per week on the trail, then stick to that, resupply first then use any leftover cash for a restaurant meal. If you aren’t so good with budgeting, then try to limit yourself to restaurant meal per town stay. Keep in mind that you can usually get a pretty big filling breakfast and good coffee cheaper than a dinner and drinks out somewhere. Cut back on, or cut out booze. I like a glass (or bag!) of wine as much as the next girl, but if you’re strapped for cash it is a frivolous, unnecessary expense. Check every hiker box, at your own risk. It’s common for stores and hostels in trail towns to have a hiker box. That is a place where hikers dump any unwanted food and gear. Sometimes there’s really good stuff in there! But I say at your own risk because I would be wary of any food that has already been opened, but sometimes hikers just pack way too much and need to get rid of extra weight, so there may be new, unopened food there too. Really weight the pro’s and con’s of sending yourself mail drops of food along the trail. Shipping yourself many resupply boxes can be expensive, it may worth it just make do and resupply in towns. A few exceptions here – there are some towns that literally just don’t have any food stores, so you may want to ship yourself a box there, or if you have dietary restrictions, special supplements or medications that you need to resupply, then obviously you gotta do what you gotta do. If you have friends and family who are cheering you on back home, you could ask them, or drop a hint that you would really appreciate a care package with some of your favorite treats, meals, spices or drink mixes. That being said, I don’t recommend you do this all the time and mooch off your family or rely on them to feed you through your hike, but it’s a nice treat every once in a while! Choose a hostel over a hotel/motel when you stay in town. Some hostels are even by donation, which doesn’t mean free! You should still always donate something but that is still a very affordable option. Ask a work-trade or work for stay, if you’re willing to put in some extra effort around the place in exchange for lodging. But please only ask about this if you’re actually willing to put in the work. A lot of small business owners become disgruntled by hikers who just want a free bed and aren’t willing to really help out. Look for trail angels or hostels that offer cheap or free camping in their yard. Even though you’re still sleeping in your tent, this is usually a little more ‘glampy’ than sleeping on the trail – you might get access to a shower, flush toilet, maybe even a kitchen or snacks or cold drinks. If you do end up in a hotel/motel, split the room and the cost with other hikers. Save money at the laundromat by sharing a washer with your hiking buddies. Unless you’re washing your sleeping bag, you probably don’t have enough to fill a washer anyway. Then use your bear bag line to hang your clothes out somewhere to dry if you can. Try to avoid taking a plane at the beginning and end of your hike you can and opt for a train or bus instead. It may take longer, but it will most certainly be cheaper. Once you’ve started hiking, call on trail angels or by donation shuttles to get to and from towns to resupply. Please always donate something to your drivers, it costs them quite a bit of money and time to shuttle all of us dirty, smelly hikers around. Hitchhike. Only if you feel comfortable doing so! Again, I think it is good etiquette to offer the driver gas money, which is still way cheaper than paying for an Uber, taxi, or other formal shuttle service. Pay off your phone in full before your hike, if you don’t already own your phone outright and that’s an option. Call your car insurance company and see if you can switch to cheaper coverage. For example, if you won’t be driving your car at all while on the trail and it’s only parked, you don’t have any of the risk and liability that comes with driving so some companies offer a severely discounted rate just to keep your insurance ‘active’ so there’s no lapse in coverage and then you can switch back afterwards. Look into renting or leasing your house or apartment while you’re gone. 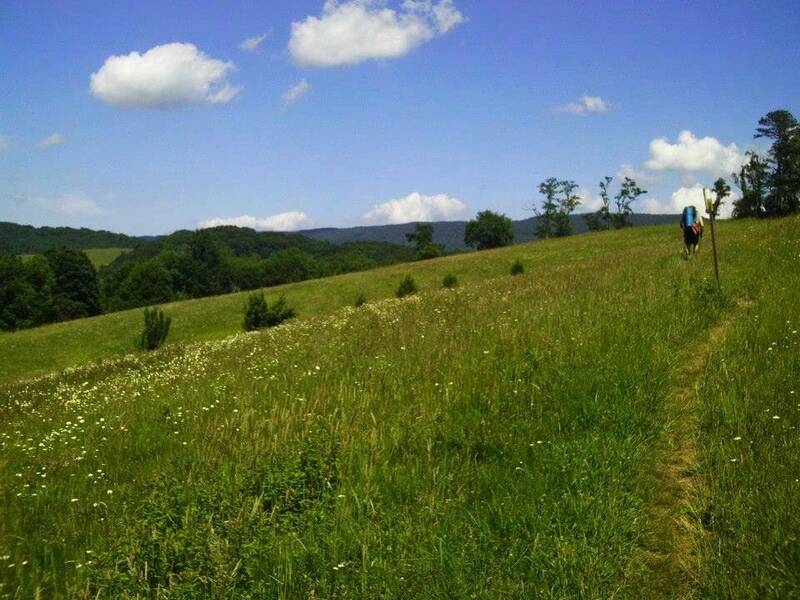 Unfortunately, health insurance may be a huge cost for some thru hikers. When I hiked, I was lucky enough to be young enough to be on parent’s health insurance still. Some may have VA coverage, or Medicare. If you don’t fall into any of those categories, I believe your next best options for health insurance are start looking into traveler’s insurance, backpacker’s insurance, or teledoc/telemedicine type plans. 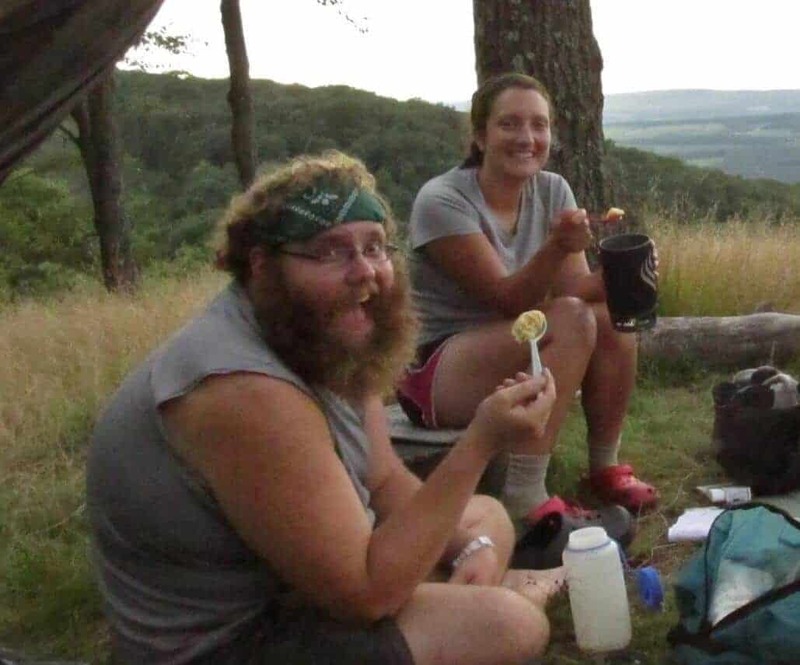 Some thru hikers do choose to go without insurance, but I really can’t recommend that. Even if you’re in perfect health now, and swear to hike carefully – Giardia is a thing, Lyme disease is a thing, accidents are a thing and can all be made exponentially worse by being out in the woods without the advantage of being close to medical and emergency support. Lastly, make sure to pay off all debt before starting your hike. So you don’t have to make monthly payments on a credit card or student loans. I hope this gave you some ideas on how to save money on your thru hike. The beauty of ‘hike your own hike’ is that you really can be as frugal or as extravagant as you want to be on the trail. If you want to keep your spending under control on the trail, then start creating the habits now from The Cash Fueled Life before you start you hike so you can stretch your dollar even further on the trail. This is a cash based system, and you won’t always have a lot of cash on you on the trail. But once you get in the habit of controlling your spending, you can do this with a debit card too and just keep an eye on your account online. 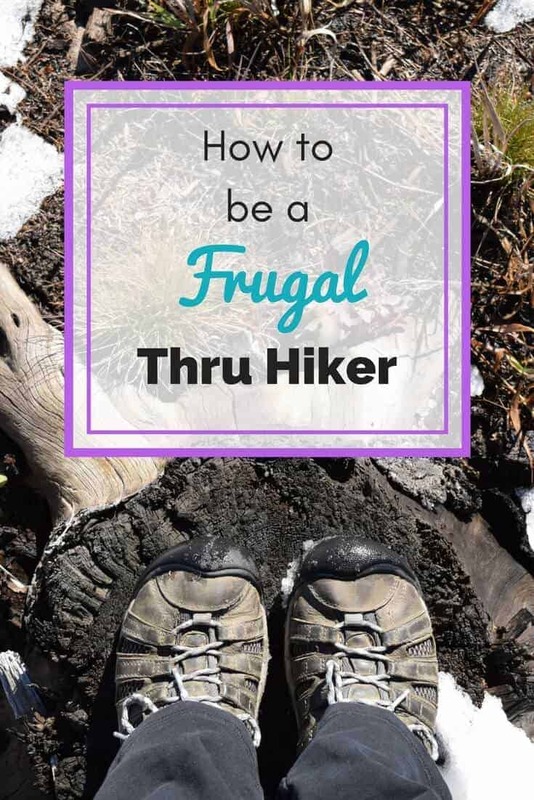 Let me know your favorite frugal hiking hacks in the comments below!